In a galaxy far, far away, there lies a magical place where all of your Star Wars fantasies can become reality. Ever since Disney bought the rights to Star Wars from Lucas Film, fans have had their eyes turned to America, and the impending plans for a Florida and California Star Wars Land venture. Disney recently unveiled the scale model preview at the D23 Expo at the Anaheim Convention Centre, California. 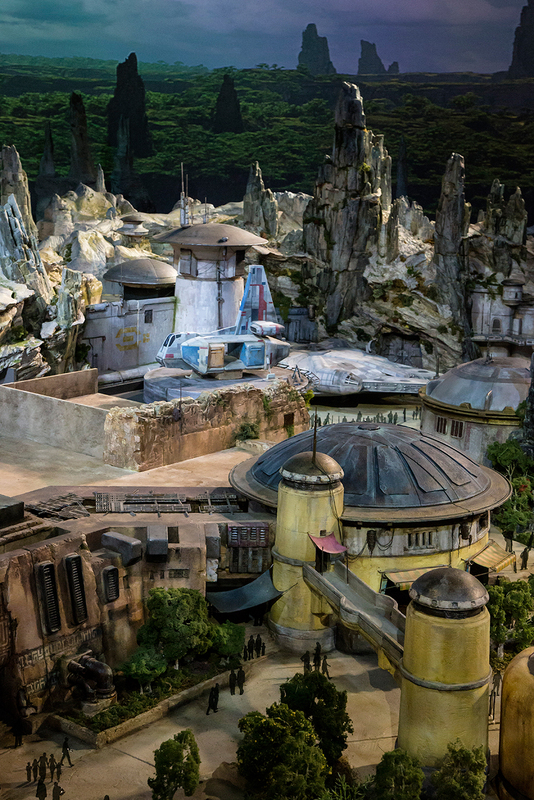 Both Star Wars-inspired lands will transport guests to a never before-seen planet, a remote trading port and one of the last stops before Wild Space, where Star Wars characters and their stories come to life. The remote village was once a busy crossroads along the sub-lightspeed trade routes, but the prominence of the outpost has been bypassed with the rise of hyperspace travel. Now home to those who prefer less attention, it has become a thriving port for smugglers, rogue traders and adventurer’s travelling between the frontier and unchartered space. It’s also a convenient safe-haven for others intent on avoiding the expanding reach of the First Order. Guests will find themselves in the middle of the action at two signature attractions. 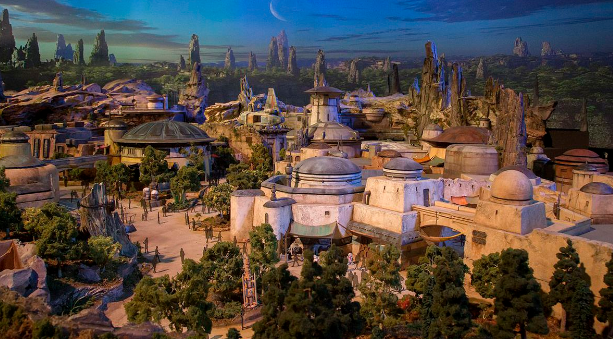 You will never find a more wretched hive of scum and villainy and we absolutely cannot wait.